The LIPP UniCentralmix Digester with its central agitator is designed for industrial and municipal applications. The special feature of this tank, in addition to the central agitator, is the roof construction, with a high quality stainless steel diaphragm cover. 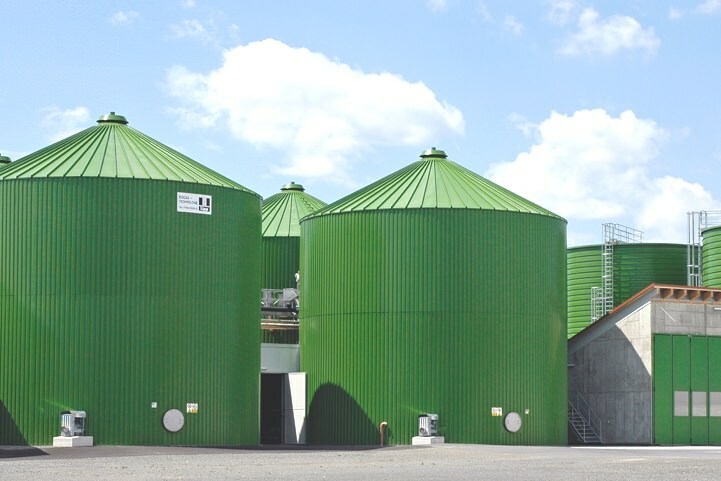 The flexible LIPP System ensures each digester can be adapted to each individual application and customer requirements. 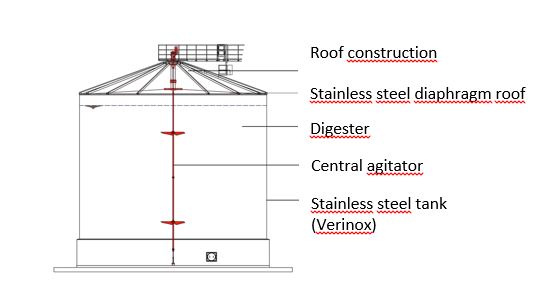 At the heart of the LIPP UniCentralmix is a stainless steel tank (in Verinox) with a digester chamber volume of 100 to 7000 m3. The tank is mixed by an energy efficient central agitator, which is designed to suit the individual application. The tank is covered by a welded stainless steel diaphragm construction, which is fitted without bolts and ensures maximum sealing. In addition, insulation and wall heating can be fitted to the outside of the digester, with easy access. The range of various materials available and the individually specified agitator ensure that the digester is flexible enough to handle various substrate compositions, for example biowaste or sludge. 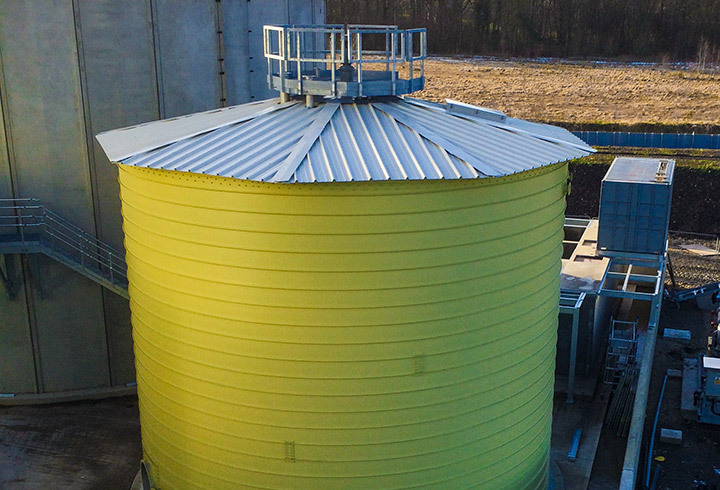 If the substrate needs pre or post-treatment, this can be carried out with additional tanks (eg post-digesters, sugar beet silos, hydrolysis). Our VERINOX stainless steel material is used to ensure corrosion resistance, even for aggressive materials. 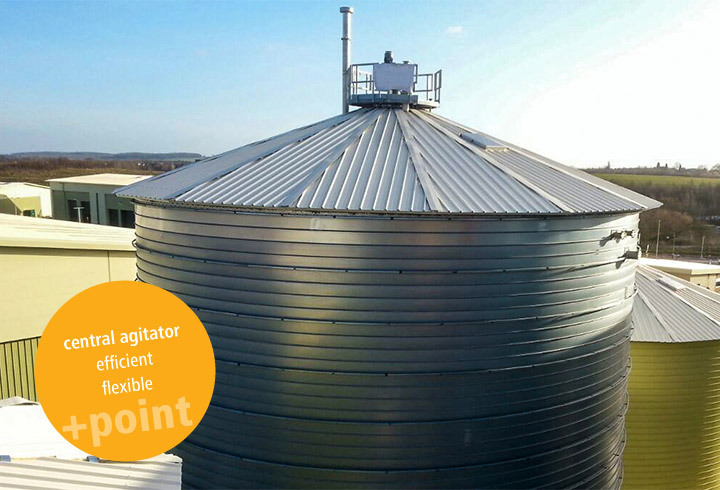 With the high quality stainless steel diaphragm roof, we ensure optimum conditions for a high quality, long lasting tank solution. The central agitator has a low energy requirement to ensure mixing and ensures optimum biological digestion. This is helped by the smooth internal walls (largely without any internal attachments) which prevent substrate deposits. 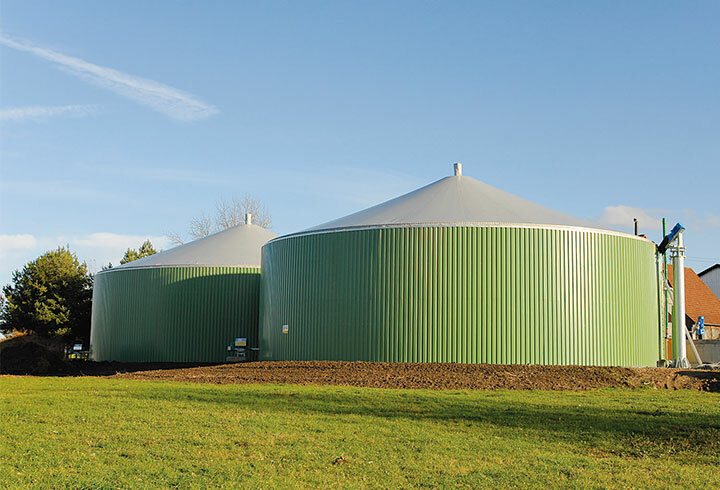 As an option, an external heating system can be added to the digester, ensuring an even temperature distribution thanks to the good heat transfer properties of the steel. 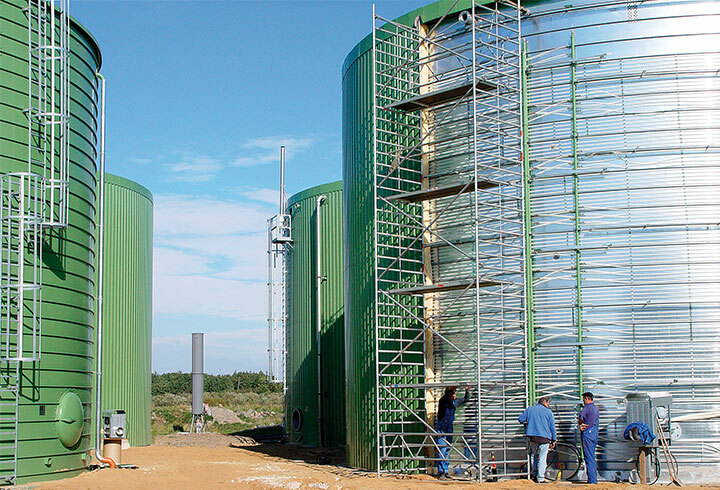 With Lipp digesters you will benefit from over 50 years experience in plant and tank construction. Automatic assembly using the LIPP Double-Seam System ensures maximum leak-tightness and quick on-site construction. Further advantages of this system include minimal installation space, low investment costs and high levels of quality maintained worldwide.